We are proud to announce that Mary`s CatVilla was recently in May 2017 approved by AsureQuality. 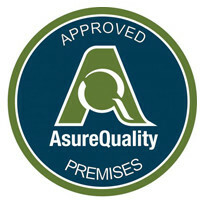 The AsureQuality Pet Boarding Approval Programme is an independent proof that a pet boarding facility is committed to high standards of animal welfare. In ensuring that a Cattery meets the Standards for a good temporary home for your cat. You can read more about the programme on the AsureQuality website.